Cycling has seen enormous growth in popularity over the last five years as Britons are getting on their bikes in huge numbers. This means that cycle clubs are now bursting at the seams with members. 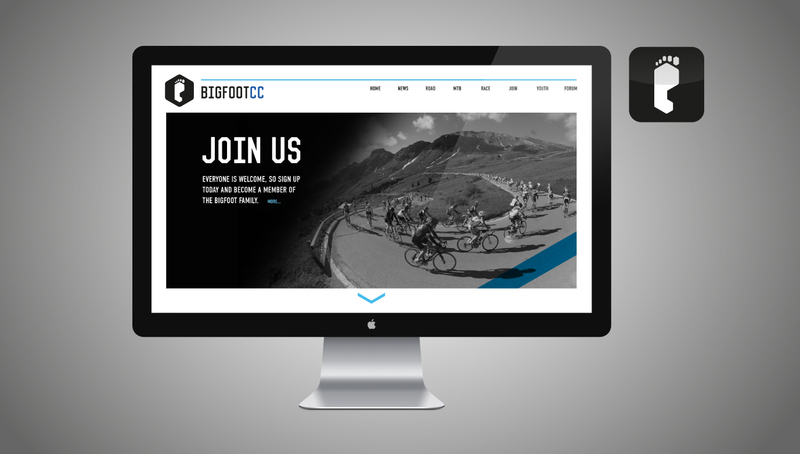 This has been the case for Bigfoot Cycle Club based in Bromley, England who have an ambition to be one of the largest cycle clubs in Greater London. Competition to attract new riders is at an all time high. The key is to cater to a wide variety of different riders, from the serious sportive rider or the downhill mountain adventurer to even the fair-weather families looking for some weekend fun. It’s vitally important for cycle clubs to balance professionalism with inclusivity. It was clear from working with Big Foot that they value their members and are constantly striving for ways in which they can improve their club for all of them. Although the club was born in 2004 the sport of cycling is steeped in rich heritage, which is something that Big Foot club riders are only too aware of. 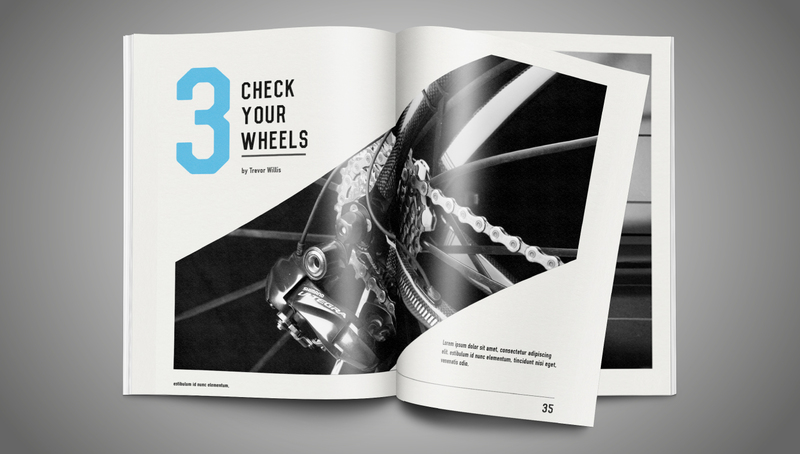 Cyclists romanticise with the freedom that the bicycle gives them and if you couple that with a contemporary demand for premium performance brands then you’ve got an insight into what makes cyclists tick. 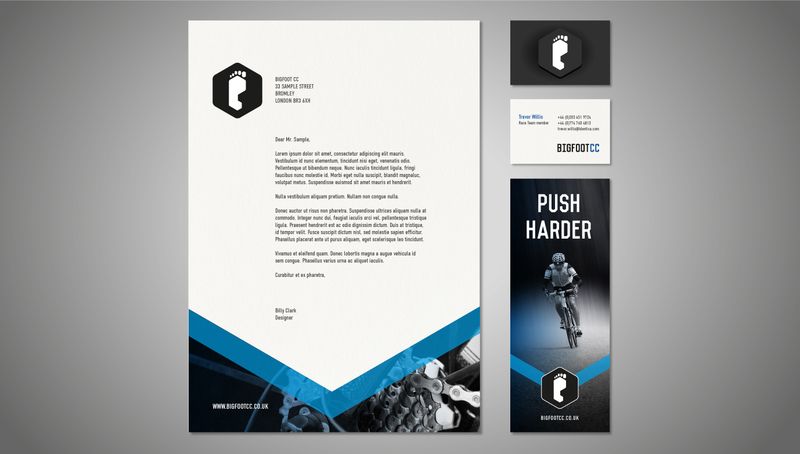 Working with Bigfoot it was clear that they wanted to take the club to the next level in terms of their quality of offer. We felt it was vitally important that the club should behave like a sports brand rather than a sports club to drive desirability for new members and instill pride in the current riders. 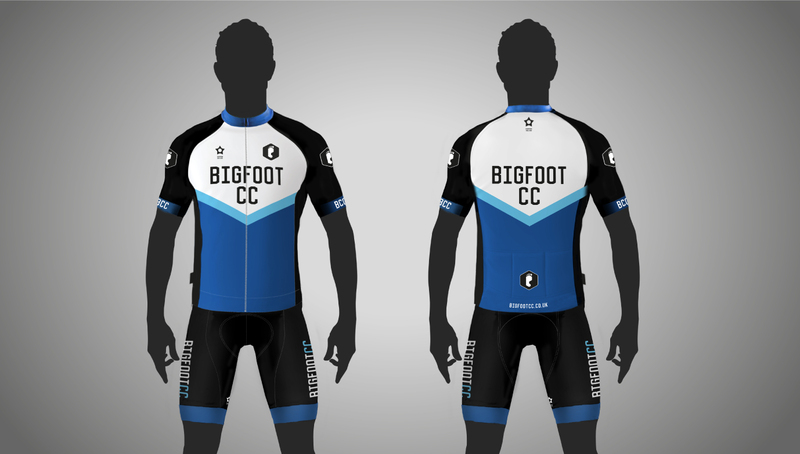 Our designs allow Bigfoot Cycling Club to separate itself from the chasing pack. Keeping the club’s colours we’ve designed a logo and jersey that retains the core foot symbol that is so iconic to the club. We’ve also taken inspiration from vintage cycling jerseys by incorporating a dynamic racing stripe not only on the jersey but across all brand touch points.